I never realised that the Comvita Winter Wellness range was so extensive! Designed to soothe and protect you and your family over the chilly winter months. 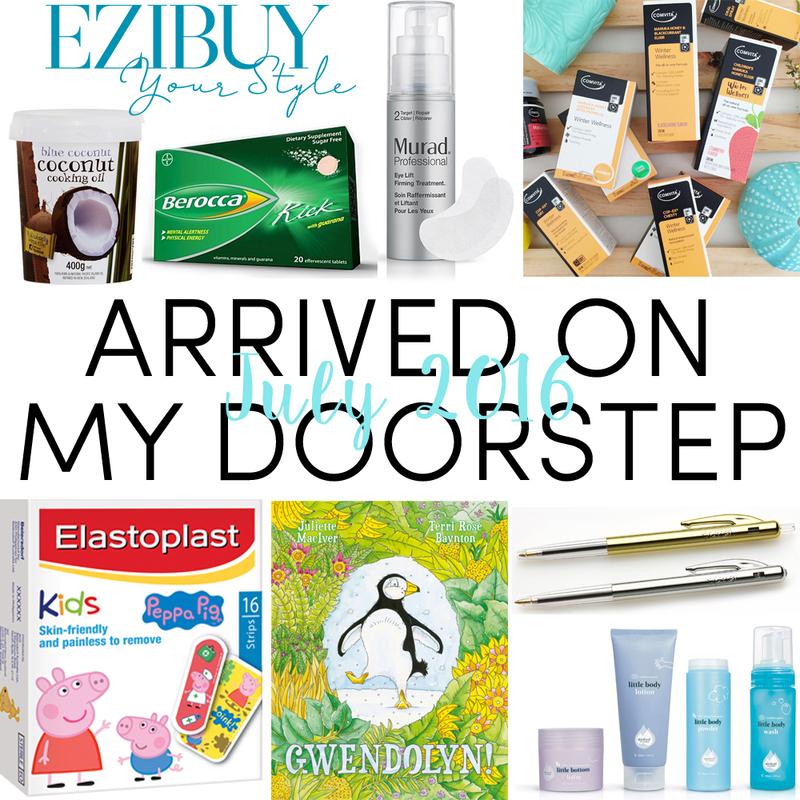 Made in New Zealand and expertly formulated with specific products for both adults and children. Remaining true to it's "hive to the shelf" principals established in 1974, the Manuka honey based range offers an innovative selection of formulations including but certainly not limited to lollipop style lozenges, oral sprays and immunity support supplements and elixirs. As well as Manuka honey, the Comvita range also contains purposeful ingredients including proplois, Echinacea, zinc and olive leaf extract with every drop expertly selected for a specific purpose. The Comvita Winter Wellness Range is available online, in Comvita stores, pharmacies and health shops nationwide. 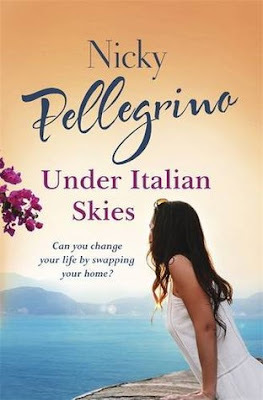 Starting at RRP$9.70. "In Paris in the year 1889, Marcel Despres is arrested for the murder of his wife and transferred to the famous Salpetriere asylum. And there the story might have stopped. 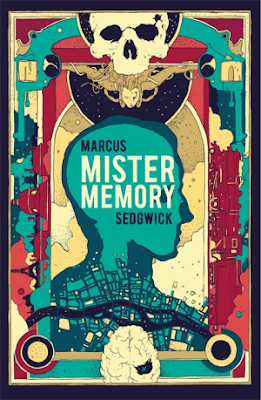 But the doctor assigned to his care soon realises this is no ordinary patient: Marcel Despres, Mister Memory, is a man who cannot forget. And the policeman assigned to his case soon realises that something else is at stake: for why else would the criminal have been hurried off to hospital, and why are his superiors so keen for the whole affair to be closed? This crime involves something bigger and stranger than a lovers' fight - something with links to the highest and lowest establishments in France. The policeman and the doctor between them must unravel he mystery... but the answers lie inside Marcel's head. And how can he tell what is significant when he remembers every detail of every moment of his entire life?" If there is one thing I am keen to put my hand up for, it's anti-aging treatments. This sun loving girl has spent so much time in the sun through out my life (and wouldn't change a moment of it for anything!) but I'm keen to minimise the aging effects on my face. 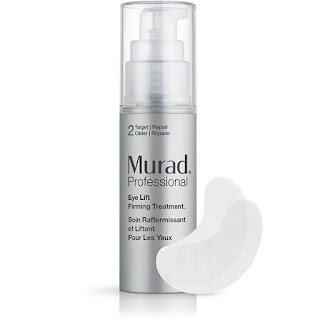 Murad Professional Eye Lift Firming Treatment is a salon strength treatment which infuses the delicate eye area with (and I quote) "exclusive, proprietary surface-filling and firming technologies that instantly lift, firm and visibly reduce the appearance of lines and wrinkles". In an independent study, 86% of users noticed a reduction in the appearance of fine lines and wrinkles. The treatment requires you to sit for 10-15 minutes with the treatment and treatment pads on your under eye area which another plus! Brew a cuppa, apply the treatment and put your feet up! Will keep you posted on my results! RRP$140.00. For as long as I can remember BIC pens have been part of growing up in New Zealand. I can clearly remember the BIC ads with Howard Morrison on TV back in the 80's and 90's. Our school stationery lists would always specify "BIC Pens", and back then it was all you could get anyway! So naturally I grew up "assuming" the BIC was a kiwi product. I was completely surprised to find out on the 60th birthday of BIC that the BIC CLIC® pens were designed by an Italian and manufactured in France back in 1956! Go figure! That said, BIC are releasing two stylish, limited edition gold and silver BIC CLIC® pens to celebrate this milestone birthday. 3 pack of limited edition pens RRP$4.00. Happy Birthday BIC! The baby care aisle of your supermarket just got a little greener thanks to Kiwi skincare company, Skinfood. New Zealand's own highly praised, sustainable and cruelty free beauty brand has just released its first every range for babies and young children and will be stocked in all good supermarkets nationwide. Little Skinfood cares for your little ones skin from the very first day with natural and organic ingredients supporting the skins natural function and providing comfort and healthy little skin. With products that are 100% natural and certified organic by ECOCERT* looking after you little ones using the best ingredients is now not only easier but also more affordable. Starting at RRP$14.99. Nourishment without nasties. New Tasti Smoothed Wholefood Balls are created using just five ingredients with no added sugar and sweetened only with dates. These delicious new snacks carry a 4 star health rating and are available in three delicious flavours - brazen berry, orange zinger and mocha macchiato. Perfect for a healthy snack on the go. 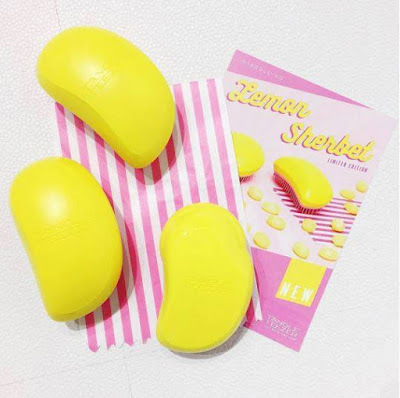 Channeling their inner sunshine and dreaming of summer, Tangle Teezer have released Lemon Sherbert - a limited edition Salon Elite detangling hairbrush. Banish tangles and knots with minimal breakage or damage as the pastel pink memory flex teeth glide through you hair leaving it feeling soft and shiny without tugging or pulling. RRP$28.00 from pharmacies, salons & select department stores. 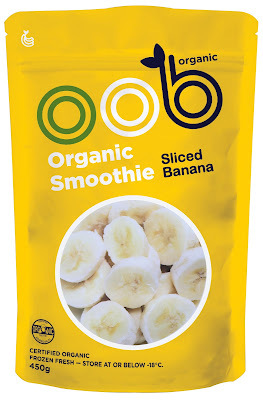 Oob Organic Smoothie Sliced Bananas are picked, peeled, sliced and snap-frozen. That's it! Using high quality, fair trade bananas, this is convenience food that doesn't compromise on taste or nutritional value. Ideal for smoothie fans! And with 42% of a banana being skin, you can enjoy more value from your bananas. Available from the frozen aisle of New World and Pak N' Save supermarkets nationwide. 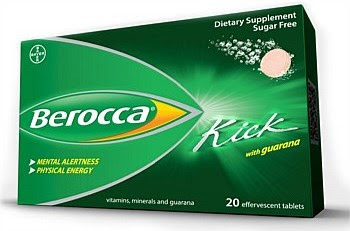 Feel awake, alert and ready to tackle your day with Berocca Kick. Made with guarana, a fast acting natural energiser made from an Amazonian berry, Berocca Kick is packed with a unique combination of B vitamins and minerals to give you a boost to spark your mind and body in a healthy way. RRP$8.99 for 10 effervescent tablets and is available from supermarkets and pharmacies nationwide. Are anyone else's kids obsessed with sticking plasters?﻿ And of course, it's even better when they have pictures on them! But it can be slim pickings trying to find them! 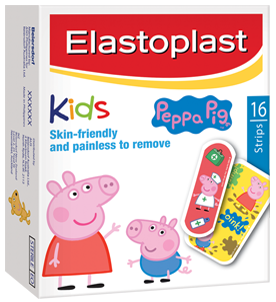 My girls were super excited to see that Elastoplast has released a Kids range featuring their beloved Peppa Pig! The box includes 16 plasters in two different sizes, each with a different image of Peppa, George, Mummy and Daddy Pig. Elastoplast are skin friendly plus painless to remove. Available in supermarkets and pharmacies nationwide. RRP$3.29. Blue Coconut Oil is 100% pure and natural, sourced from the Pacific Islands and refined through clay filtration in New Zealand. Blue Coconut Oil is tasteless and odourless so if you find the taste or smell of coconut overwhelming then this is the option for you. 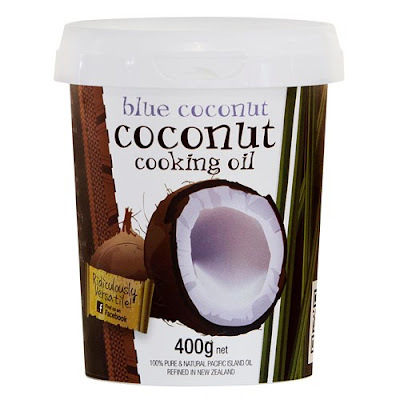 If you prefer the coconut taste and smell then the Blue Coconut Wild Coconut Oil is the one you'll want to look for on the supermarket shelves. 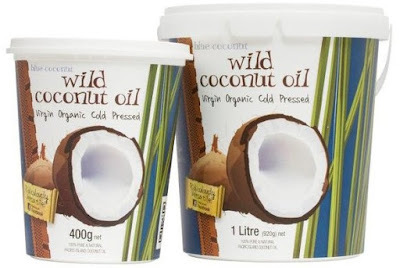 Whichever your preference, Blue Coconut Coconut Oil is vegan, cholesterol, dairy and gluten free. It's preservative free, does not require refrigeration and has a shelf life of two years making it ideal not only for everyday use but also camping, the bach or boat. As well as cooking, it is also an excellent and versatile skincare tool. It's very economical - a little goes a long way! You can also find out exactly which island your coconut oil came from by searching your batch number on the Blue Coconut Oil website. Available in 400gm and 1 litre tubs as well as handy 20gm sachets in supermarkets nationwide. World On A Plate, otherwise known as WOOP, have just extended their range to include a family friendly option called the WOOP Classic. Suitable for two adults and two-three children, WOOP takes all the hassle out of your meal preparation. Available as three or four night options, all the ingredients come pre-prepared and delivered to your door. Simply gather the colour coded ingredients and cook as per the simple instructions. 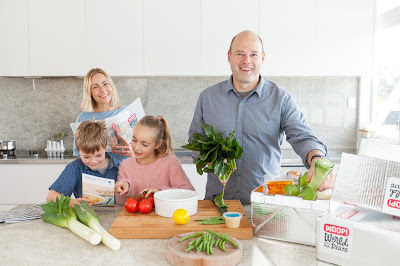 While the original WOOP Foodie range encourages you to extend your taste buds to sample cuisines inspired from all over the world﻿, WOOP Classic includes a range of family favourites, comfort food and international cuisine to keep things interesting each week. Currently only available in Auckland. - Blue back books are for sharing with your child with rhymes, repetition and pictures to help pre-readers recognize words. 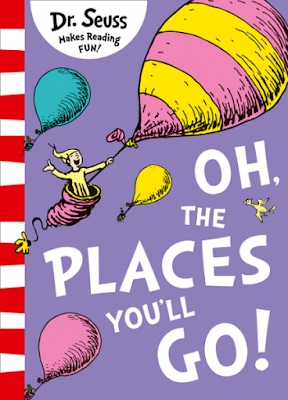 - Green back books are ideal for children just beginning to read on their own. - Yellow back books are more suited to fluent readers and great fun for practising reading aloud. My 6 year old and I loved this book! A book a little bit about being a square peg in a round hole. A story about being where you belong or belonging where you are. 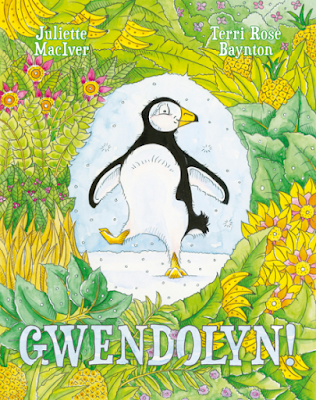 Gwendolyn is a penguin that lives in the hot jungle and while it's not usual, she loves it! But one day she begins to think that maybe she should be with all the other penguins in Antarctica. Or should she? Beautifully written by Juliette MacIver and stunningly illustrated by Terri Rose Baynton. Available September 2016. Hardcover RRP$29.99.